The Dead Sea is a special place on Earth, for sure. However, I think it is a bit overrated. That, of course, doesn’t mean, you can’t spend a nice time there. But staying there more than a couple of days in a hotel would definitively not be for me. Being the lowest point on Earth makes it also much warmer than Amman, which is in the cooler time of the year but also exhausting during other months. Also, it is often a bit hazy so you cannot see so much of the other side. The experience of floating is interesting indeed but that’s about it. You can absolutely not swim in the water, because your legs will float up and you can not stabilize yourself. Apart from that, the high salt concentration that will hurt your eyes and any other wounded or shaved spot of your body in a way you won’t forget for a while. The “beach” is not very nice and the entry into the water might be steep and hurt a bit caused by the salty spikes in the water. That of course, depends also where you go to. If you choose one of the hotels the experience might differ from the other beaches and they also might provide sandals. Unfortunately, accessing the Dead Sea without paying or going to any resort is also pretty much impossible. It is also a quite expensive experience, even if you just go during the day to one of the spots. If you have kids, you might enjoy a visit to the Al Wadi Resort at the Dead Sea. It is a huge Water Fun Park with many slides and a wave pool and other splashy attractions. Check the site or Facebook page. 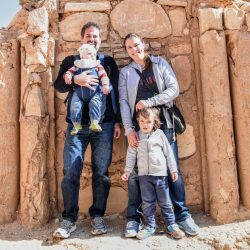 The Dead Sea is a nice spot to take some good pictures, get out of Amman in one hour, feel warmer in winter and you can combine it with a visit to Bethany beyond Jordan, the Dead Sea Panorama Complex, Maín Hot Springs, Mount Nebo, and Madaba. There are also some restaurants and a small mall with an overpriced souvenir shop in the hotel area. Below you will find pictures from a parking spot just before the Dead Sea Panorama Complex, the Complex itself and the Dead Sea at Sunset. The Dead Sea Panorama Complex restaurant is a bit overpriced as well, but the only location to grab a bite in between the Dead Sea and the Madaba area and you can enjoy a very nice view and an interesting museum about the Lowest Point of the Earth. 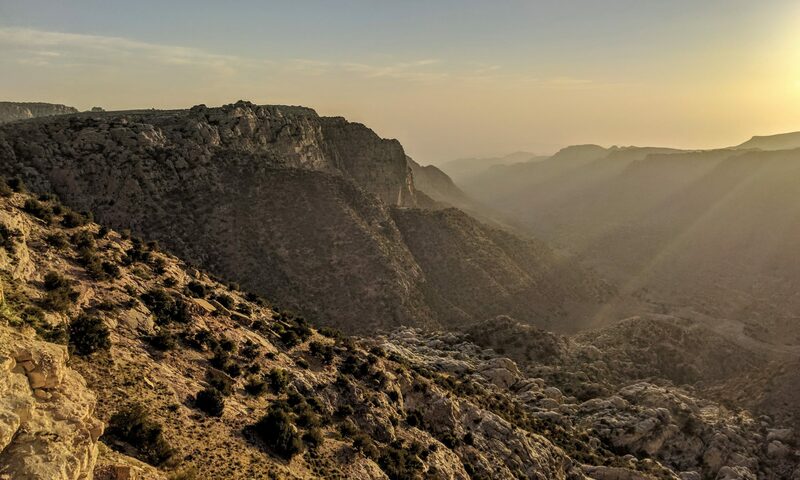 If you want to see more pictures – see my post on Hiking Wadi Karak with Yousetour, that ended with a nice sunset tour to the Southern part of the Dead Sea.